Silas Malone Butts, age 82, of 3679 Foster Rd., Yanceyville, died peacefully Sunday morning, January 20, 2019 surrounded by his loving family. Born in Caswell County, NC, he was the son of the late Henry Thomas Butts and Nanny Elizabeth Smith Butts. In addition to his parents, he was preceded in death by his brother Thomas Butts. Mr. Butts retired after 40 years of service from Sonoco Paper in Richmond, VA. He was of the Baptist faith. Mr. Butts loved going to stock car races with his wife. He also loved vacationing with family in Myrtle Beach. He was an avid hunter and fisherman and loved Bluegrass music and gardening. He was greatly loved by his wife, children, grandchildren and great grandchildren. He reciprocated that love and was a true family man, always putting their needs above his own. Surviving is the love of his life, his wife of nearly 65 years, Shirley Jean Raines Butts of the home; five children, Janice Lyles of Glade Springs, VA, Kenneth Butts and wife Joyce of Yanceyville, Richard Butts of Chesterfield, VA, Susan Newman of Bristol, TN, Steven Butts and wife Angie of Louisa Co, VA; four sisters, Ethel Chumley, Sara Phelps, Virginia Bush and husband Webster, Betty Gilreath and husband Roger all of Yanceyville; two brothers, Charlie Butts and Larry Butts Sr. and wife Becky, both of Yanceyville; twelve grandchildren and twenty-four great grandchildren, and one great great grandchild. The family will receive friends 6:30 until 8 PM, Tuesday, January 22, 2019 at Harrelson Funeral Services Chapel and other times at the home. Funeral Services will be held 11 AM, Wednesday, January 23, 2019 at Harrelson Funeral Services Chapel by Rev. John Crews. Interment will follow in Floral Hills Memorial Gardens in Danville, VA.
Pallbearers will be Donovan Lyles, Ronnie Nines, Ed Hackett, Butch Barr, Jamie Hamlett, Austin Shelton, Skeeter Butts and Dylan Hamlett. In lieu of flowers, memorials may be made to Amedisys Hospice, 3854 Crouse Ln., Burlington, NC 27215. Harrelson Funeral Services of Yanceyville, NC is privileged to be serving the Butts family. I am so very sorry for the loss of your loved one. Silas Butts was a very sweet man,it was an honor to have known him. He is now at peace and another angel and he will be looking after you for all the days to come. So sorry for your family I know you all will miss him he was a sweet man we all love d him now he is resting in peace may God bless everyone of his family he is at peace love him. I rode the school bus, #1, when going to school in Caswell. SPATHIPHYLLUM was sent by Fergson Store 155. TRADITIONAL FUNERAL BASKET was sent by Laura Holt Collie and Charles ‘Charlie’ Holt. I remember kind eyes, a warm smile, a gentle man. My thoughts are with all my Butts Cousins. Jean & family, We are so sorry to know of Silas' passing . He was a nice & kind-hearted man . He will surely be missed by all who knew him & loved him . We will miss his growing fruits & veggies . He worked hard at all he done . May God wrap HIS Loving arms around each one of you & comfort you all . 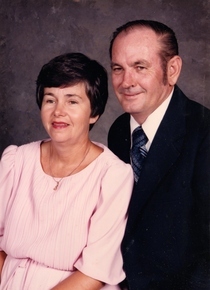 You all will be in our thoughts & prayers, Love in Christ, Harold & Nancy Raines . Sending sincere condolences to the Butts family at this difficult time. May you find the comfort and strength our loving heavenly Father offers in response to prayers (Philippians 4: 6, 7, 13). We eagerly await the time when He eliminates all reasons for sorrow (Isaiah 25:8; Revelation 21:3, 4).